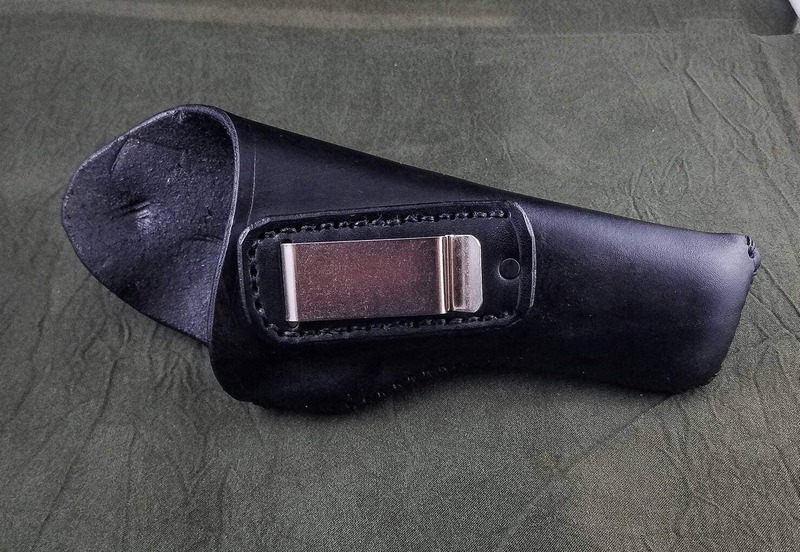 This listing is for a handmade leather inside the waistband (IWB) holster for a full size 1911. 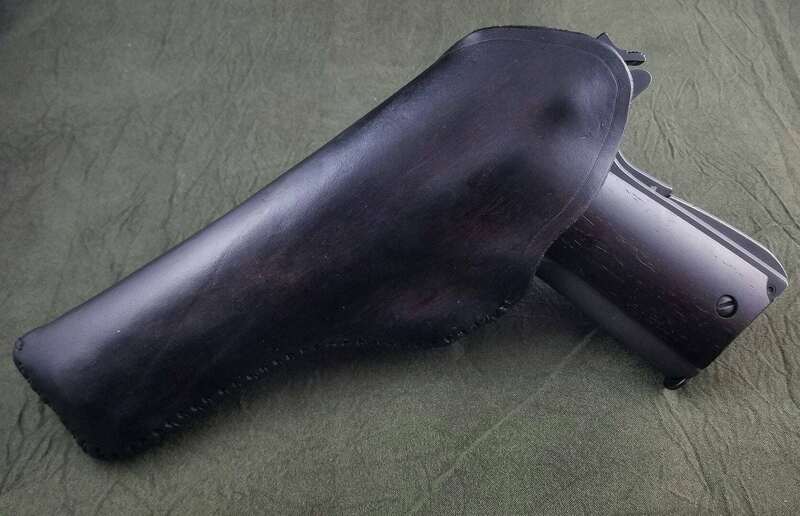 The holster is completely handmade, hand-stitched, and finally wet-formed to the firearm to ensure an excellent fit. My method of construction paired with the wet-forming alleviates the problem of collapsing in on itself that many leather IWB holsters have. It is secured via 1 heavy duty steel clip that can be clipped onto your belt or waistband. 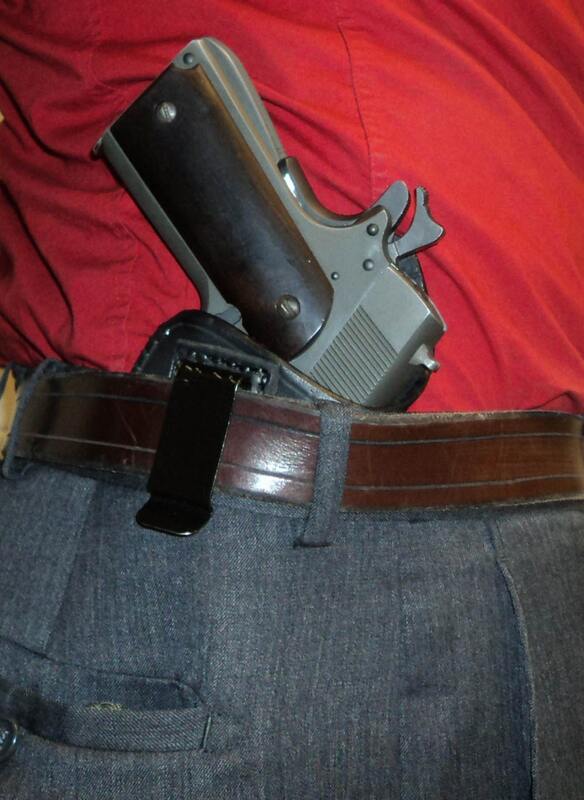 The single clip allows the holster to be positioned in a number of different ways, without taking up much space. The clip comes at an angle as a standard, but if you would like a different angle, or no angle, let me know. 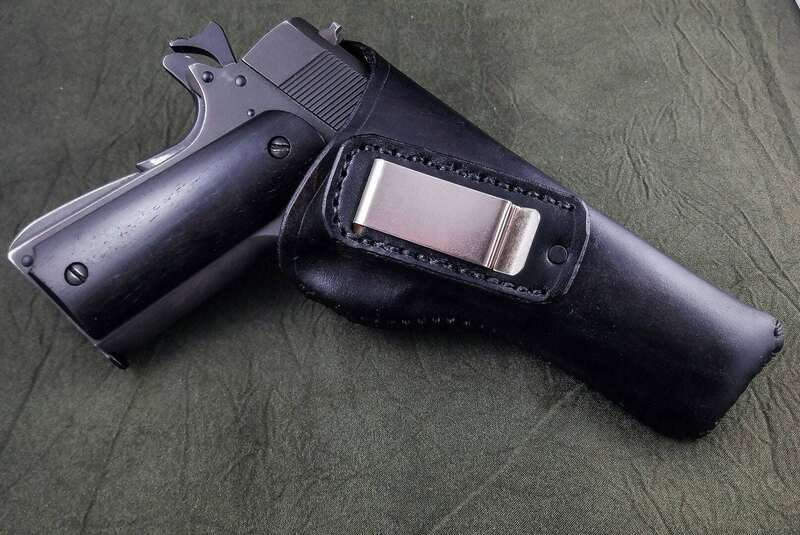 Each holster is fitted to a Springfield Armory mil spec 1911, and the leather has a bit of flex, so it should fit most models from most companies. If your gun has a railot, light, or other difference in design, let me know and I can make adjustments accordingly. As always, if you have any questions or requests for customization, feel free to contact me.